We developed the TeamCity, Jenkins and Bamboo plugins to help you complete the Netsparker Enterprise-assisted SDLC. Using our plugins, users with Administration permissions can now automate test scans, which are run using the Netsparker Enterprise API in the continuous integration build. We have substantial documentation to assist you with integrating Netsparker. 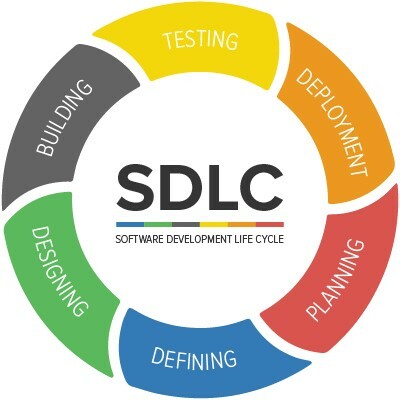 The software industry has refined the Software Development Life Cycle process over many years. It is the process that software developers use to design, develop and test resilient, quality software that meets the requirements of potential customers or specific commissioning clients. It must also meet stated budgets and deadlines. Normally, software development passes through these key stages, beginning with Planning. The Planning stage begins with gathering requirements from potential purchasers, industry experts and existing research, and the organization's own sales team. Collated information helps determine whether a project is financially and technically viable. The Defining stage involves getting clarity on the product requirements and documenting them, often by way of a Software Requirement Specification (SRS), which is then approved by the customer or by the Business Analysts in the organization. The Designing stage is based on the SRS, which product architects use to construct a Design Document Specification (DDS) that may include various potential design approaches, including architecture, data flow and third party integrations. The Building stage is when development begins. Developers follow the DDS and generate code according to their organization's coding guidelines document. The Testing stage can happen during all other previous stages and includes reporting of defects, which are fixed until the product reaches the required standard. The Deployment stage is when the product is released into the relevant market, or directly to the customer. Sometimes, this can be divided into further stages, released in a limited way first and tested, then released again following further fixes. For further information, see Configuring User Mappings, Disabling the Assigning of Issues to the Code Committer, Viewing Continuous Information in the Status Window, Accessing Continuous Integration Details in the Scan Report and Viewing Continuous Integration Information in the Issues Window.